This Jyothika starrer gets an Average verdict, as School exams could have affected the occupancy a bit at Chennai BO. Jyothika's Magalir Mattum takes a solid opening at the Chennai city box office. Tags : Magalir Mattum box office verdict, Magalir Mattum Chennai box office, Magalir Mattum Top movies ranking, Magalir Mattum Tamil nadu box office , Magaleer Matum box office verdict. 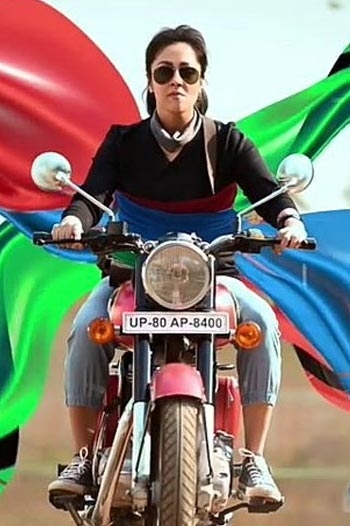 Magalir Mattum aka Magaleer Matum is a Tamil movie with production by 2D Entertainment, Chris Pictures, direction by Bramma G, cinematography by Manikandan, editing by CS Prem. The cast of Magalir Mattum aka Magaleer Matum includes Bhanupriya, Gokulnath, Jyothika, Livingston, Oorvashi, Saranya Ponvannan.